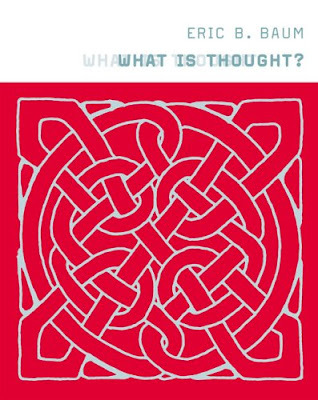 In What Is Thought? Eric Baum proposes a computational explanation of thought. Just as Erwin Schrodinger in his classic 1944 work What Is Life? argued ten years before the discovery of DNA that life must be explainable at a fundamental level by physics and chemistry, Baum contends that the present-day inability of computer science to explain thought and meaning is no reason to doubt there can be such an explanation. 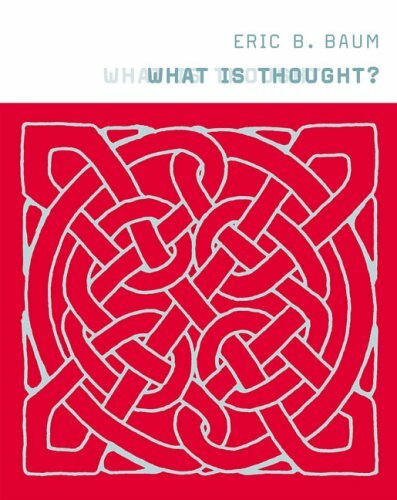 Baum argues that the complexity of mind is the outcome of evolution, which has built thought processes that act unlike the standard algorithms of computer science and that to understand the mind we need to understand these thought processes and the evolutionary process that produced them in computational terms. Baum proposes that underlying mind is a complex but compact program that corresponds to the underlying structure of the world. He argues further that the mind is essentially programmed by DNA. We learn more rapidly than computer scientists have so far been able to explain because the DNA code has programmed the mind to deal only with meaningful possibilities. Thus the mind understands by exploiting semantics, or meaning, for the purposes of computation; constraints are built in so that although there are myriad possibilities, only a few make sense. Evolution discovered corresponding subroutines or shortcuts to speed up its processes and to construct creatures whose survival depends on making the right choice quickly. Baum argues that the structure and nature of thought, meaning, sensation, and consciousness therefore arise naturally from the evolution of programs that exploit the compact structure of the world.